Sayesha and her friends live at the marvel land, the marvel land is the most beautiful place to live. Sayesha has lot of good friends. 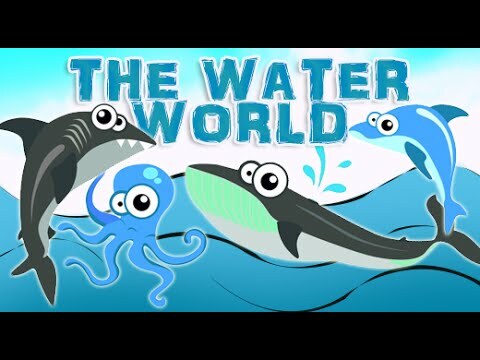 Watch how Sayesha and her friends along with Vaayu and Maya visit the water world and learn different types of animals one can find in the sea. The Dolphin's are the most friendly sea animals.Dolphin's are grey in color. The Seals live both on land and water. Seals have whisker's like dog's, they feed on fish. The Flying fish has fins like bird's wings, it flys in the sea, its called the flying fish. The Whale is the biggest mammal and and the largest fish in the sea. The Shark is big and long,its jaws and teeth are big and dangerous. Stay connected on Google Plus : Google Plus: https://plus.google.com/u/0/b/1122238..